“We have opened four new markets this year: Sudan, Sweden, Denmark and Norway,” Al-Jasser said. 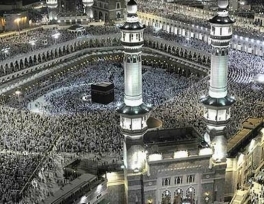 Saudi Arabian Airlines (Saudia) will carry nearly 818,000 pilgrims coming for Haj this year from different parts of the world, said Saleh bin Nasser Al-Jasser, director general of the Kingdom’s flag carrier. Saudia will carry 785,984 pilgrims from 72 international airports including 470,770 from Asia, 118,951 from the Middle East and Gulf, 105,462 from Europe and America, 90,801 from Africa in addition to 32,000 from Saudi cities. “We have opened four new markets this year: Sudan, Sweden, Denmark and Norway,” Al-Jasser said. The first Saudia flight carrying Haj pilgrims arrived from the Bangladesh capital, Dhaka. “We’ll transport pilgrims from all over the world to King Abdulaziz International Airport in Jeddah and Prince Mohammed International Airport in Madinah,” he said, adding that Saudia would carry 145,000 pilgrims to Madinah airport. He said Saudia would make use of its newly purchased fleet to transport the pilgrims. “We have also rented 29 aircraft with 11,600 seats to meet the growing demand during the Haj season,” he said. Saudia has deployed an adequate number of employees at all stations to meet the requirements of the Haj traffic. “We have also appointed employees from Indonesia, Malaysia, India and Bangladesh at the Jeddah and Madinah airports to meet passengers’ needs,” Al-Jasser said. The airline has made arrangements for transporting Zamzam water cans for pilgrims on returning empty flights to India, Indonesia and Malaysia. It has also signed contracts with hotels to accommodate stranded pilgrims. “We have set out an alternative plan, depending on the sighting of the new moon,” he explained. Spelling out the airline’s special services, he said it includes the distribution of boarding passes in advance at ports of embarkation for return journeys. “This will give pilgrims peace of mind and enable them to concentrate on prayers and worship instead of visiting the airline’s offices to make bookings and get boarding passes,” he added. Saudia has also made arrangements for the distribution of meals that suit the taste of pilgrims from different countries on its Haj flights. “We have appointed airhostesses who can speak the language of the pilgrims,” Al-Jasser said. 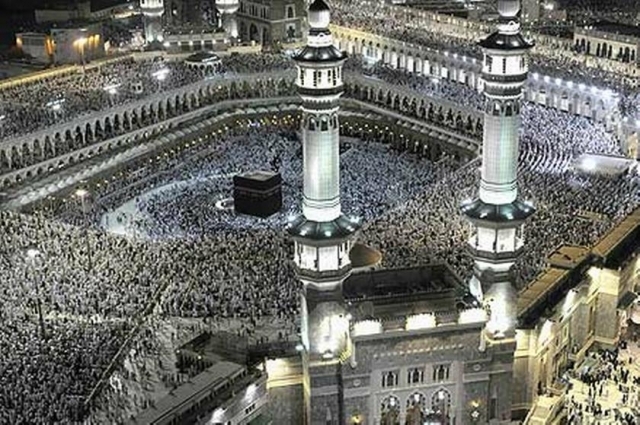 The airline will also screen Haj-related documentaries during the journey. Pilgrims from Indonesia and Malaysia are given city baggage check-in services in Jeddah while Indian and Iranian pilgrims are given similar services in Makkah.